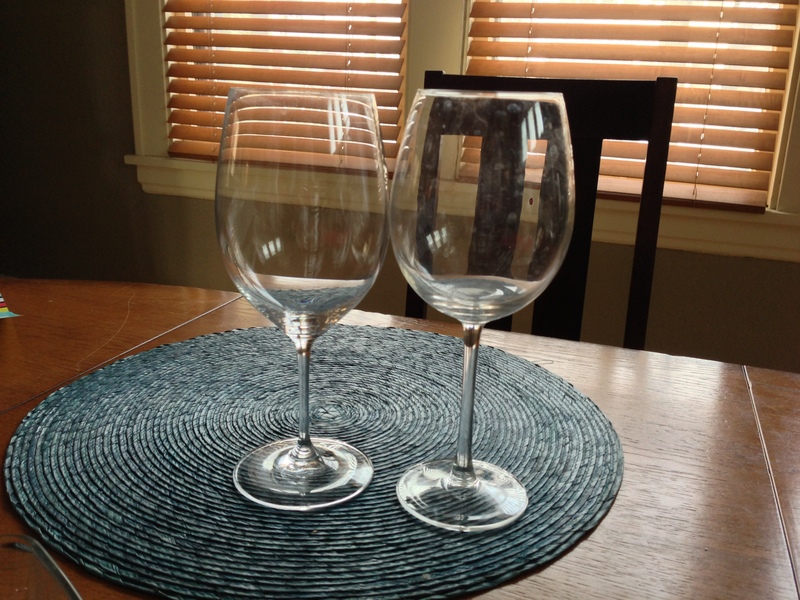 What Difference Does A Wine Glass Make? The box tinkled as I lifted it, catching the ear of the Riedel (pronounced “REED-uhl”) sales rep. “That’s not good…” No, it certainly was not good. A hundred or so boxes later, the damage was totaled up. Around 80% of the boxes containing 4 different Riedel wine glasses held at least 1 broken glass; generally the Chardonnay glass. As we carefully separated out the broken glasses from those still intact, the presenter of the tasting session racked her brain to come up with Plan B. The rest of us furiously, yet carefully wiped down the remaining glasses to a sparkle. I, only utilizing nine fingers, successfully avoiding getting blood from the tenth on the glasses like a true professional. It’d probably be more understandable if I had cut myself on one of the broken shards, but no, I had received a paper cut from one of the cardboard boxes. Yet even with one glass down, the folks from Riedel made their pitch to a large group of conference goers as to why each varietal of wine deserves to be sipped from it’s own specialized glass. Their reasoning behind having a multitude of glasses is this: each varietal has its own “signature” aromatic profile and they have designed glasses to highlight this. Oddly, I had previously thought that they had just wanted to diversify their product line and increase sales. To demonstrate, they pour out a single wine into it’s “appropriate” glass and then have you pour the wine into the other glasses to compare. They also acquire a “joker” glass, in this case, the squatty wine glass the hotel’s banquet service utilizes to act as a control. Think of the wine glass you get at a wedding. Halfway through the tasting (or smelling as it were) the sales rep asked if anyone was not convinced yet. The lone enologist in the room raised her hand. Since I was assisting the event I merely whispered my support to her discreetly. Truth is, I’m not convinced either. There are a few things about their pitch that just don’t work for me. First and foremost is that they pour a wine into it’s assigned glass and tell you that what you smell is exactly how that wine should smell. After this, they tell you to pour the wine into another glass and point out how it’s different, which they then define as worse. This is called Priming in the advertising/marketing world and while effective, I wouldn’t call it the most honest. Second, they compare their glasses against the worst glass possible. Third, they only focus on aroma, which to me isn’t the whole picture when choosing your glass. Bucking my habit of minimalism. From left to right: Flute purchased from Crate and Barrel, Riedel Sauvignon Blanc glass, Riedel Burgundy glass, Ikea wine glass ($2.99! ), Riedel Cabernet Franc glass, Red wide-bowled glass purchased from Crate and Barrel. Unlike the Riedel experiment, I opened a bottle of Sonoma Zinfandel and poured the equivalent amount into each glass. As I went down the line smelling them there were again differences, but I honestly couldn’t put a preference on which glass I would go with solely based on aroma. Here’s the deal, when you pour wine into a glass, the aromatic compounds that eventually get to our nose get kicked up into the air of the glass. Various compounds have different densities so they settle at different levels in the air inside the glass. Your fruity esters will be up top and some of the more earthy aromas will settle more towards the bottom. This density thing is generally why wine people swirl their glasses like pretentious pricks. It mixes the compounds of different densities and puts them in the air above the liquid for your olfactory pleasure. Think of it as an aroma emulsion. Sommeliers across the world generally deal with three glasses. A white wine glass which is taller than it is wide, a red wine glass that has a wider bowl than the white wine glass, and a glass for sparkling wine which is thin and tall. 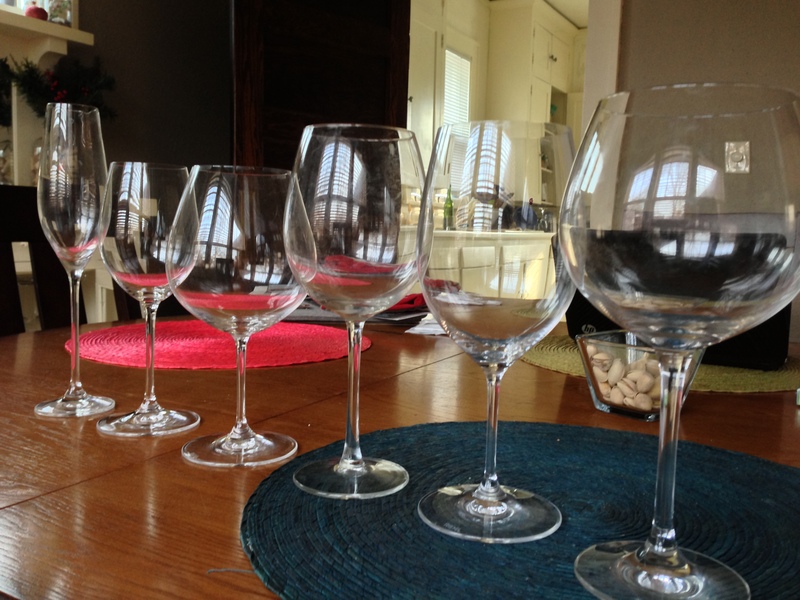 According to standards committees (the ISO) the best glass for tasting is one that is half as wide as it is tall. Regardless of which glass, the rim should always be a little more narrow than the bowl. Those are the few specifications that the industry agrees that work. What I have found is that the wider the bowl of the glass, the faster the volatile chemicals of the wine (the aromas) will dissipate. For reds that seem “tight”, this is good. 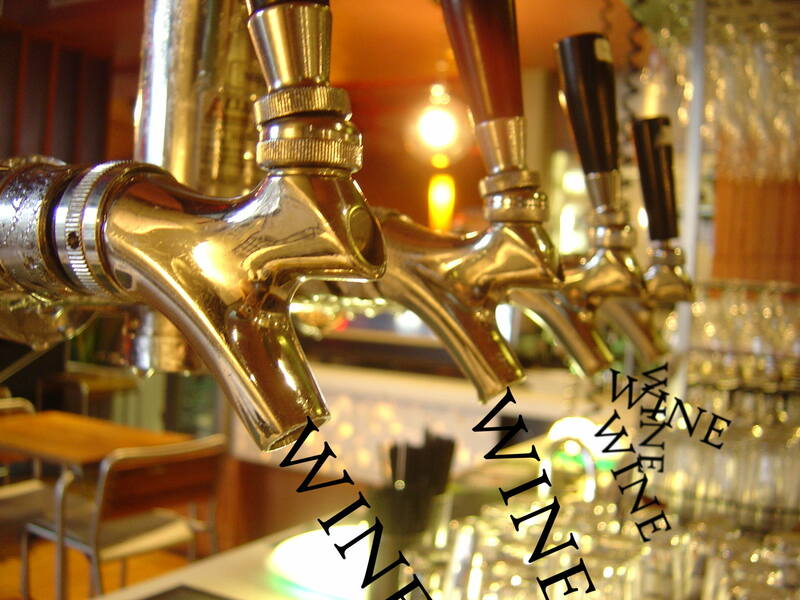 More oxygen hits the wine which releases more parts of the aroma. This is also why people want to decant wines, leave the bottle open for a few hours before serving, or put the wine in a blender. Oxygen releases aroma. BUT, the general trend for American wine drinkers is to be overwhelmed by the aromas. Therefore, depending on how fast you drink your wine, you want a bowl with a size that matches your appetite for wine. It should be noted that red wines contain a higher amount of polyphenols in them which are anti-oxidants so that’s why glasses for red wines have historically had wider bowls than for whites. Therefore, your enjoyment of a tannic red wine might not be different when had in a white wine glass as long as you drank it over a period of a few hours. On the flip side, you might find that the aromas of most white wines diminish too quickly when served in an airy glass. But back to Riedel. The aroma difference between the Riedel Cabernet Franc glass and my closest non-Riedel glass (The Ikea one) was close to nil. The minimal differences in the shape of the glass really did not make a difference. However, the Riedel sales guy left out a few factors which greatly add to the experience of drinking wine, that of the size (and direction) of the lip of the glass, the balance of the glass overall, and the quality of the glass. A thin lip that points up or slightly out is less obtrusive to putting wine into your mouth (bonus). 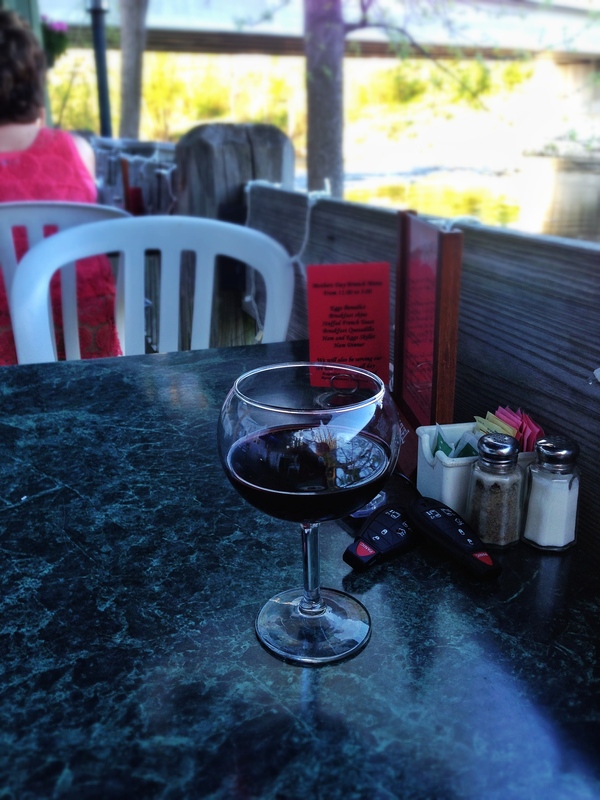 A balanced glass will let you roll the stem between your fingers as you gaze into its mystical depths (romantic bonus). And there is a positive correlation between the quality of the glass and the quality of tone you get when you clink two glasses together gently and then put one up to each of your ears (musical bonus). In other words, it adds to the experience overall. Admittedly, the Ikea glass fails at the musicality aspect since it’s cheap glass and if I’m being honest, I’ll generally reach for the Riedel Cabernet Franc or Burgundy glass. Why? Because they’re damn good quality glasses. It really has nothing to do with their intent to be used with certain varietals. To end this post, I will leave you with what I think its the worst possible wine glass ever made. I’m speaking about the globe glass, which you may find in nearly every mid-scale Italian restaurant. It makes you feel like you’re drinking upside down when the glass is full and when it’s nearly empty you have to turn upside down, just to get the last few sips. Great river-view patio. Worst wine glass ever. So there you have it. Now let me go find the next trendy Minneapolis cafe that feels the need to serve wine in tiny tumblers.